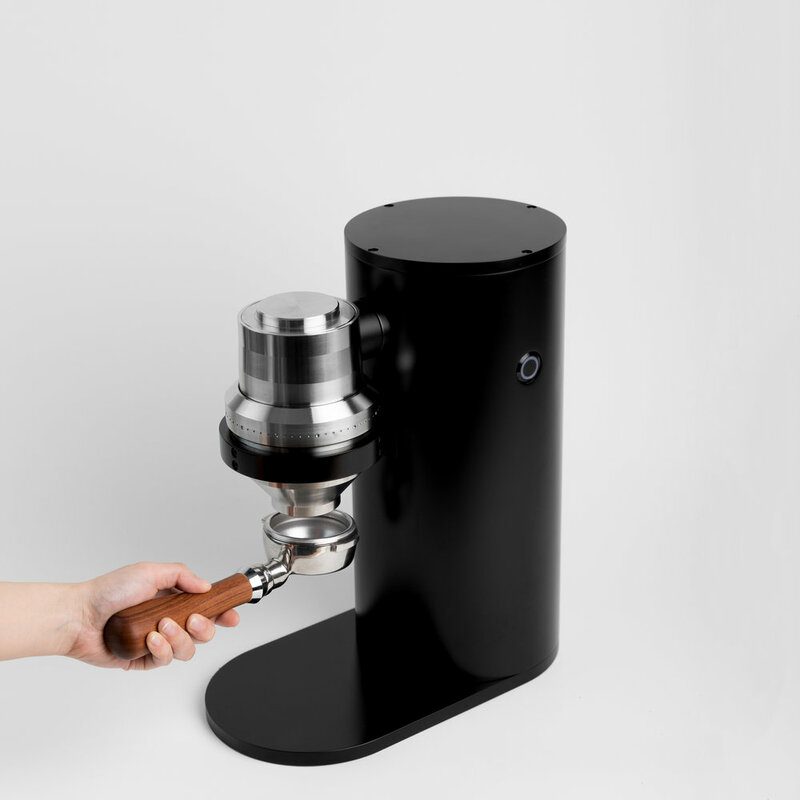 The Stance motor operates at a gentle 90 rpm, preserving the delicate flavours in your coffee. Be at peace that the Motor add-on will not affect the precise alignment achieved in Helor Stance. At just under 36 cm (15”) height, there is always room to fit a Stance Motor. The straight-through design limits the ground retention to less than 0.1g. Grinding speed is one main factor in determining the coffee particle size distribution. Therefore, a consistent grind quality needs a consistent grinding speed. With the high torque motor and the precise alignment of Helor Stance, the grind output from the Stance Motor will be extremely consistent day-in day-out with minimal effort from your part. Grinding coffee is easily the loudest aspect in our morning coffee rituals. Therefore, the Stance Motor is created to change this. With the hefty noise-dampening stainless steel chamber and the quiet induction motor, the grinding sound is now extremely gentle. The burrs are the soul of a coffee grinder. Stance sports the biggest and the best available conical burrs we could find - precisely machined by Mazzer intended for the highest end grinder. The large motor in Stance Motor drives the burrs for you so you don't have to do it yourself. Despite driving the largest available conical burrs, the straight through design of Stance-E allows almost-zero (<0.1g) coffee retention inside the grinder, ensuring you get freshly ground coffee, every time. The motor speed has been optimised to run at 90 RPM*, mimicking the speed of hand grinding. The lower RPM is important as it will not heat up even if in use continuously, preserving the volatile flavors in your coffee. The gear ratio also has a side benefit - amplifying the motor torque available for grinding light roasts. Thanks to the large cutter surfaces, the Stance Motor still grinds faster than most single-dosing grinders. * Tested at 50 hz in Australia. Alignment of the grinding mechanism is one of the main keys in ensuring consistent and superior grind quality. The Stance Motor has been designed such that anyone could assemble and dissemble the whole package without any chance of affecting its alignment. Warranty 1 year limited warranty, against manufacturing defects.